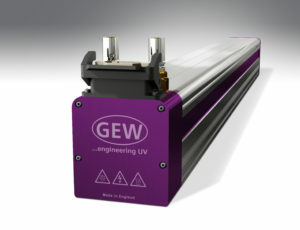 GEW’s Patented LW2 lamphead is the most effective water-cooled LED-UV curing technology on the market. LED-UV polymer inks allow successful printing on almost all stock types. Coated and uncoated papers, plastics, foil laminated sheets etc. all become a possibility, increasing product diversity. Instant on/off switching means that with GEW LED-UV there are no warm-up or cool-down cycles that are required on conventional UV systems. Machine up-time is increased because the printer is never waiting for the lamps. In addition, because GEW’s LW2 has no moving parts there is no downtime to replace shutters, reflectors, mechanisms or lamps and maintenance costs are significantly reduced. 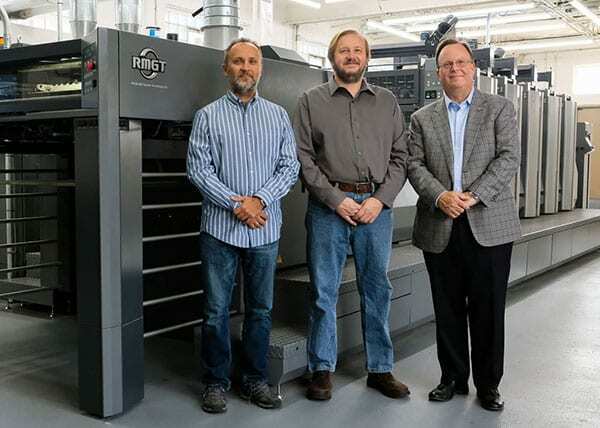 Expected lifetimes of 20,000 hours guarantee trouble-free printing for years to come. 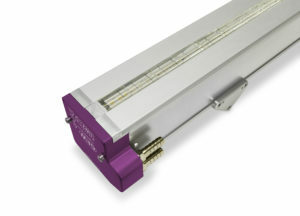 UV LED inks and varnishes are 100% dry straight after the LED lamp. This eliminates messy and costly powder coating completely. 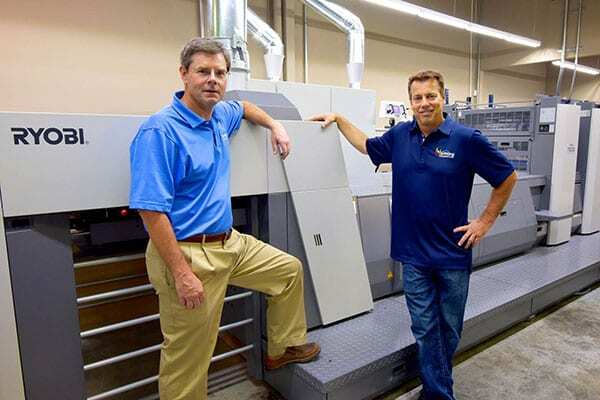 More importantly sheets can be folded, cut and bound immediately after printing. This potentially allows stock reductions and significantly decreases lead-times to end-customers. UV inks can achieve sharper dots, higher gloss and better resistance to marking and scratching because the ink dries to a gloss polymer which is resistant to solvents and abrasion. 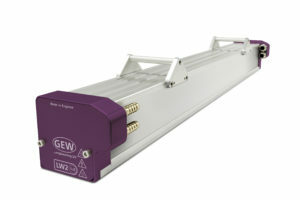 GEW’s LW2 ensures perfect drying of UV LED inks every time thus eliminating marking and scratching issues observed in the perfecting or delivery mechanisms. GEW LEDs produce no ozone so there are no air extraction requirements. The fact that LEDs are mercury-free guarantees compliance with any conceivable legislation on mercury and ensures operating environments safer than ever before. In addition, the low heat profile of GEW LEDs means fire risk and costly shielding and preparation of print units can be avoided. 5-year Warranty: No unplanned maintenance costs for 5 years! 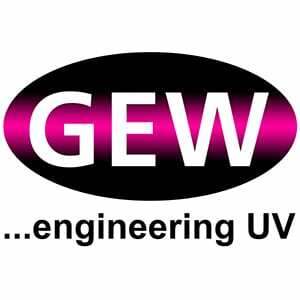 Using GEW’s embedded service package means total confidence in the reliability of GEW UV systems and backed up by a warranty unrivaled in the industry. Ask your UV supplier to guarantee their system for 5 years. Lowest Operating Costs: With intelligent power management the current draw from each mains phase is balanced and harmonic distortion is minimized, reducing the energy demand registered by your electricity meter. Fail-safe Operation:Military-grade electronic design protects the UV system from damage caused by incorrect voltage, short-to-ground, dropped phases, mains spikes and lightning strikes. In the event of a serious mains disruption, the system powers down in a safe mode. 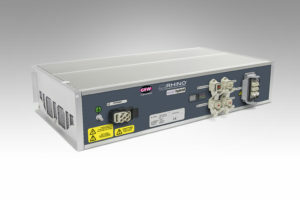 Survives the Harshest Environments: RHINO is designed to run in harsh conditions at ambient temperatures of up to 40°C. 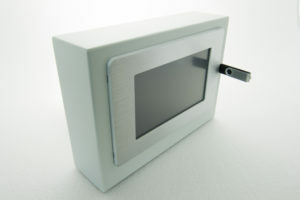 The system is also unaffected by dust, ink mist and other atmospheric contaminants. 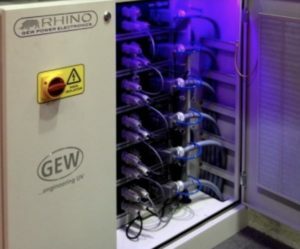 A compact cabinet that houses up to 6 RHINO power supplies and provides perfect cooling, atmospheric protection and mains power distribution. Cabinets are stackable 2-high, enabling 12 power supplies to fit into a 115 cm x 65 cm floor area. Power supplies slide into the rack and connect quickly, enabling more lamps to be easily added to the system in future. 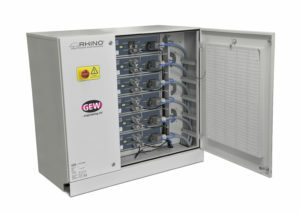 Embedded Service: RHINO Control is connected to the internet and encrypted system performance data is sent live to GEW 24/7. 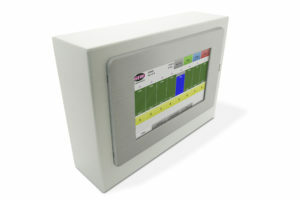 This ensures the fastest and most precise response to service issues available in the industry. System Performance Reports: Regular system performance reports are sent to nominated customer email accounts. These lay out energy usage, uptime % and a fault matrix to give unparalleled analysis of press productivity to operational management and are easily accessible in multiple languages at the touch of a button. 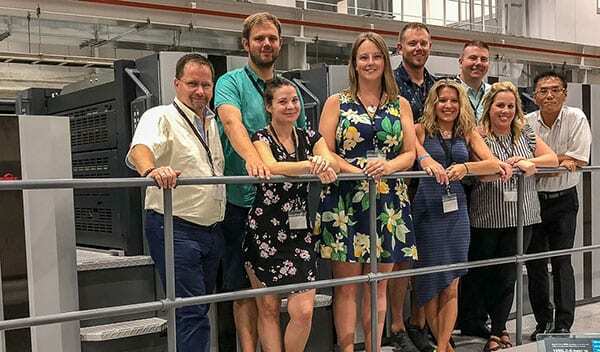 Combined with the comprehensive instruction and service manuals available from GEW, your press operators will have total confidence in their new UV system. 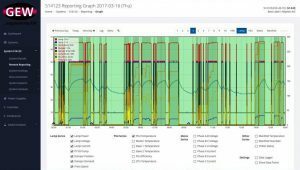 Working at peak performance: The Event Log continually records system use and operating parameters. The log can be checked to ensure the system is working at peak efficiency, avoiding energy waste and unplanned downtime. Multilingual instructions are easily accessible on every screen ensuring operators can always understand the UV control properly.